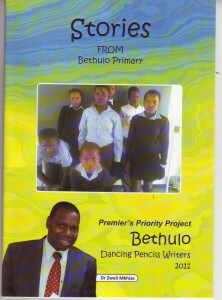 In a very deep rural part of Msinga, KwaZulu-Natal, a new book by Dancing Pencils Club Writers in Bethulo Primary School had its launch at the school on Wednesday 31 of October 2012. 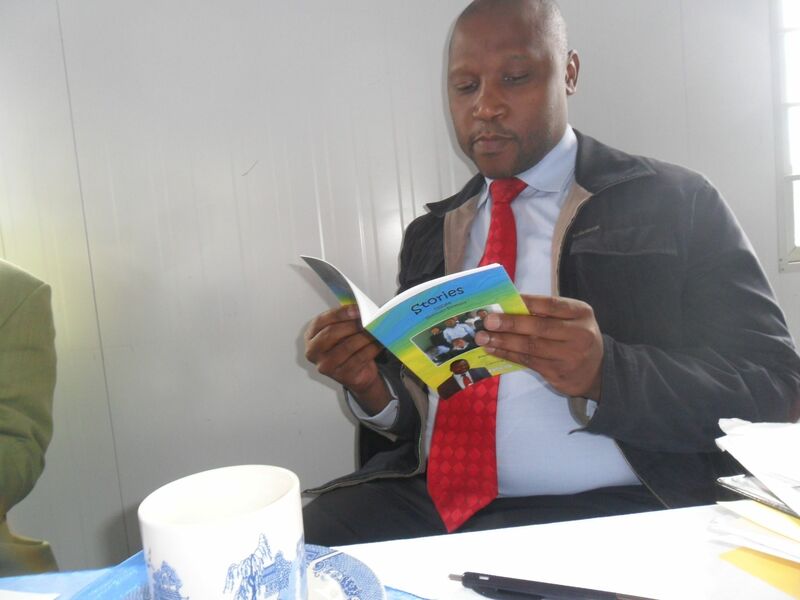 This is the second book resulting from the initiative of the Office of the Premier to put the skills of writing into the hands of learners, especially in previously inaccessible deep rural areas. The first book was also from Msinga, produced by Cosh Primary School. Very proud Principal of Bethulo Primary! Mrs Duduzile Mathilda Mkhize, proud principal of Bethulo Primary in Msinga, KZN, organised a tent to seat the learners, parents and other participants at the launch of their first book written by members of their school’s Dancing Pencils Writing Club. This school is “very far” into deep rural Keats Drift ward, Msinga; nevertheless it had a prestigious book launch with representatives present from the Office of the Premier, the Department of Education Ward Managers from two wards, SAFM radio correspondent, and Dancing Pencils facilitator, Felicity. Enthusiasm and support bring forth amazing talents. Being on UKhozi Radio and SAFM is huge incentive to those involved as well! The Ward Manager of Keats Drift in Msinga was very delighted to read stories and poems by learners in their first published Dancing Pencils school Anthology. To the audience he said he was proud of the work of the Principal and the school, and it was rewarding to know that in very deep rural areas talent existed equivalent to that of learners in towns and cities! He would also like this project to extend to other schools in the area.